I'm loving the tent and have had several friends that I camp with already decide that it is one they would like to purchase. I plan to use this one for a long time. So go for it, and leave me a comment if you have other questions or found this review helpful. As I had a hard time finding many reviews of the Scout before I purchased mine, I thought maybe I should write one now. To read my review with photos, google "arielslife big agnes scout UL2 review." I can't post the photos or link on here. To give you a bit of background, I live in Jackson, WY, and spend most of my free time in the summer hiking and backpacking. (50-ish days and almost 500 miles last summer.) For years now I've used and loved Sierra Designs Lightyear. 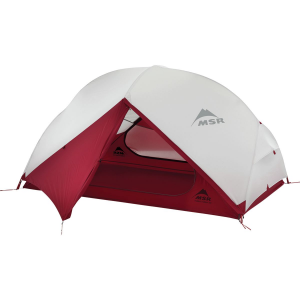 I have both the one and two person versions and it's a solid, simple, and inexpensive tent. I've had it out in high winds, sand, hail, you name it. I would highly recommend it. But, as I've worked to reduce my pack's base weight, I started looking for a lighter option. I didn't like using a tarp due to water splashing when it rains, the ability to accidentally knock gear out from under the tarp, having to find good tie offs at all the perfect angles, and the lack of bug-proofing. Mosquitos can be really annoying and I have an irrational fear of spiders. 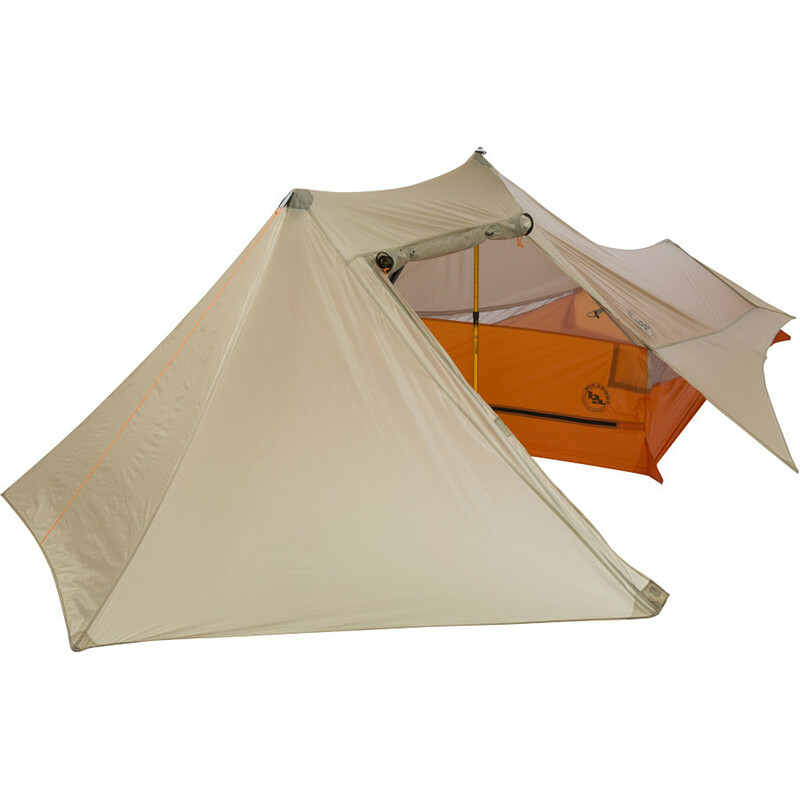 But when I saw the Scout which is much like a tarp but self contained and bug proof, I thought I'd give it a try. I have used the Scout for an overnight in Yellowstone, an overnight in the Tetons, and a six-day Wind River Range trip. It's now been in the wind, multiple rain storms, and two hail storms. And I like the tent a lot. It is indeed lightweight and simple to pitch with trekking poles, tying it off to branches or trees, or with home made poles. I've done all of those. I replaced the fairly light stakes sent with it with Vargo Titanium stakes saving myself 2.5 oz. Then, since I don't hike with trekking poles, I made two carbon fiber poles, making the rear pole longer so I could run it along the back wall and not have it planted so much in the way of the living space. The weight for both poles is only 3 oz. so with the stake switch, I only added a 1/2 an oz. and don't need to look for branches or trees to tie it off to or carry trekking poles. I am using the ground cloth as the fabric is so lightweight and thin. The zipper does catch easily on the zipper rain guards as you zip and unzip it. I may end up tearing the zipper out and replacing it with some kind of magnet method of closure, but if you pay attention and are careful, the zipper catching should not be a big issue. It is spacious! I've never seen a two-man tent, especially this light, that had anywhere close to the amount of space inside. Since we got rained on for 6 out of 6 days on our last trip, this was handy. Two people can easily sit upright in Crazy Creeks, not touch the walls or top, and have tons of space left for gear. I really think we could have had four people sitting up in there at once and not felt very crowded. It also feels very long. I'm 5'8" and have long arms. When laying down with my arms stretched out as far as possible above my head, the tips of my fingers and toes barely touch the ends of the tent. When I sleep, there is plenty of room for my full sized 72' pad and having a stack of gear between my pad and the door. Being a single wall tent, it does get some condensation when I pitched it in damp areas or when there is no breeze to draw air through the side vents. It helps to pitch the side guys with them stretched out as long as possible which raises the angle slightly and allows more air to flow through. The condensation was still minimal, and with all the space in there, it's pretty easy to move around and not touch the top at all. My friend usually carries a small square of some absorbent shammy cloth and it was easy to wipe the moisture off the inside when we woke up, wring the cloth out, and be ready to go. I do live in a fairly dry climate however, so if you are somewhere with a lot more moisture, this could be a much bigger issue for you. Packing the tent up is quite easy as well. It fits very nicely back into the stuff sack it comes with and is actually smaller than my under 2 pound down sleeping bag when my bag is in a compression sack. I think condensation would be the only drawback, and as I said, with a way to wipe the inside, all the interior space, and at least with our climate here in the mountain west, it's really not a big issue. And very worth the trade off for much more space and much less weight compared to double wall tents. A work in progress, but hopefully with some minor modifications, this could be a winner. Finicky front door zipper, poor placement of internal pole and lack of ventilation are problems for this tent. 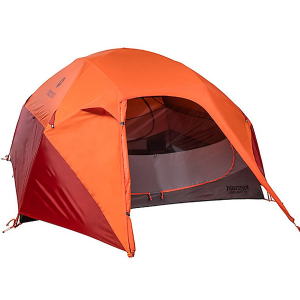 I purchased this tent because of amazing reviews: ridiculously lightweight for a 2-person tent. I was planning to use it during my trip to Wind River Range. 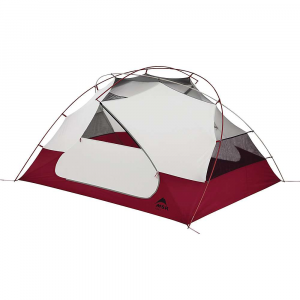 I ordered the tent from Backcountry edge. It arrived promptly. I then tried it out in my front yard. The set up is easy—it is intuitive, you don't even need to read the instructions. Now for the bad part. The front zipper is impossible to open either from the inside or outside without getting snags. Even my wife, who is not a camper, noticed this and immediately said to send it back. 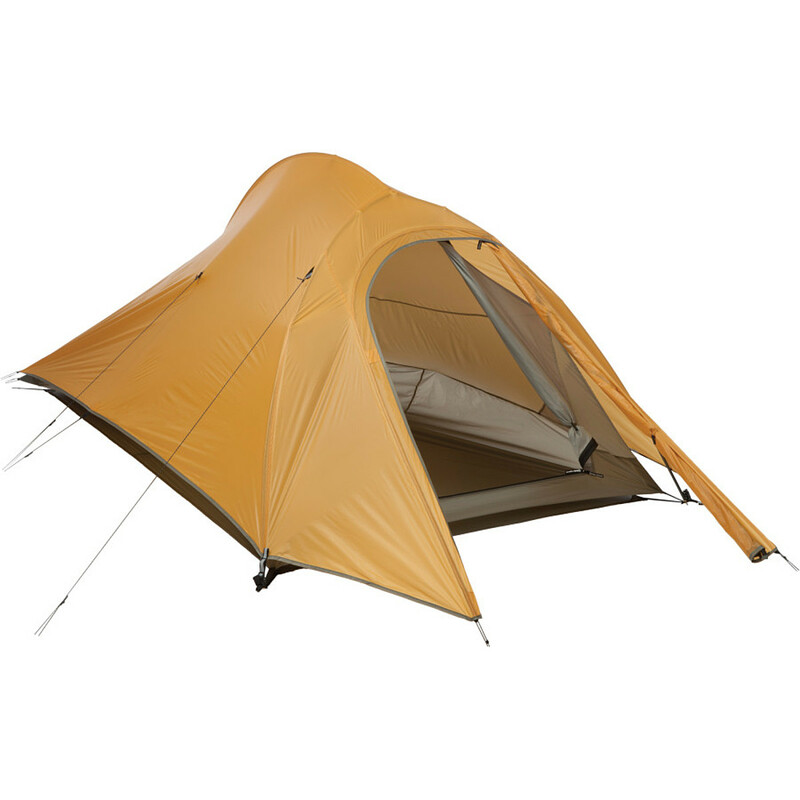 More bad: the interior second pole position separates the tent effectively into two halves. If it was positioned against the back wall, the entire tent would be open and spacious, good for two people, fantastic for one. More bad: the front door is solid. There is no inner mesh lining. Ventilation is poor. So, I sent the tent back. My recommendation is to go with velcro to seal the front door. I would also add a mesh screen inside the front door to vastly improve ventilation. 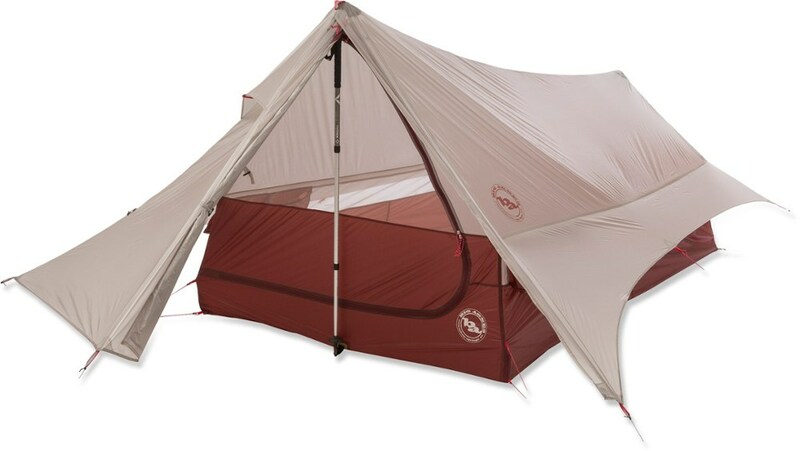 If Big Agnes follows my advice, I think they will have a tent for the ages and I will be the first to purchase it. Good size tent, enough room for a backpack in wet weather. Roomy and tall enough to dress comfortably. Also, weather worthy. 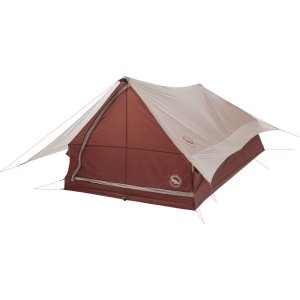 I recommend this tent — so happy that I get to sleep in it. Has a vestibule to store gear. Items stay dry, even in rain and snow.